Digital marketing agencies - choosing between them is often like a game of spot the difference. Only not as fun. Truth be told, the online world is filled with agencies where the same promises are touted and similar words are re-hashed. We’re different. We love what we do, we deliver on all that we say, and our services are ROI driven. With an open-book policy and a fiery passion in our bellies, we get results, and we provide crystal clear reports as to how we’ve secured them. For online marketing, sales analysis, PPC, SEO, Social Media Marketing and website design, we slash costs, turbocharge conversions and drive down costs per sale and per lead – for better business, powered by insightful, online tactics and a team of super nerds. 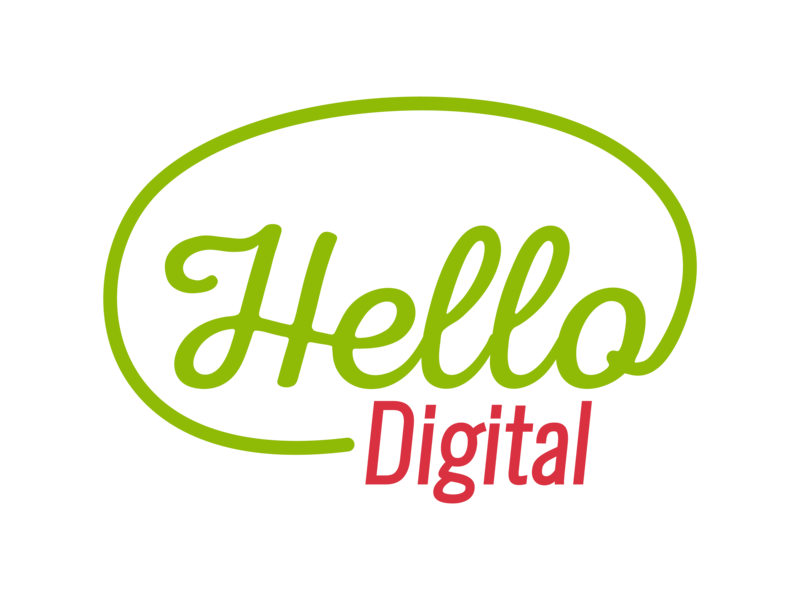 We are Hello Digital – with offices in sunny Birmingham & London, our clients span Land's End to John o' Groats (OK, perhaps not those exact areas, but we have hundreds of clients throughout the UK). We aren’t fast-talking sales people, people with mythical secret sauce or girls and guys who’ll draw a breath if you ask how we’ve done what we’ve done. We’re a team of digital nutters who love all aspects of digital marketing from paid search to search engine optimisation. We’re a straight-talking bunch with total transparency for all work we do. We ensure our clients understand exactly what we are doing and why, to help drive leads and sales to their business, at minimal costs. Setup and managed a mixture of digital marketing strategies to drive a high number of prospective leads (Valuations & Appointments) on a daily basis. Primary channel for traffic being Google Organic traffic (SEO) as well as Paid Search via Google Adwords and Bing, with a 5-figure daily marketing budget . Within a period of 2-months, we increased from a 3:1 ROI to a 5:1 ROI via paid search and continued incrasing keyword rankings for a variety of prime terms. Due to the size of the account, to help with the day-to-day optimisation of the account, we utilised bid management software, Marin. 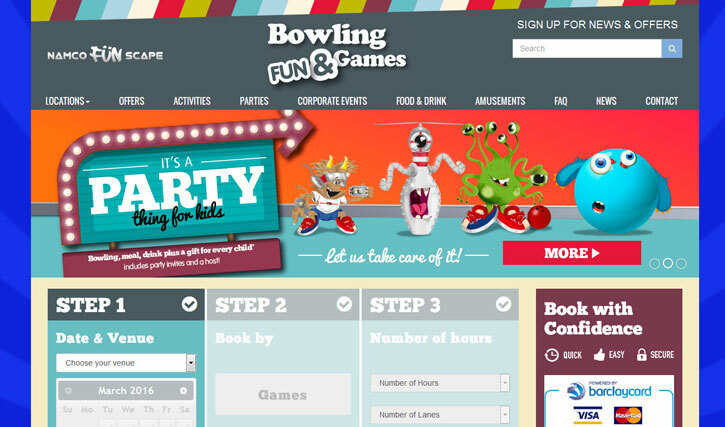 The Goal for Namco Funscape was to drive Bookings from parents wanting to book something in for their kids to spend a day out. Here we identified a specific audience built several campaigns from direct targeting, re-marketing as well as lead magnet strategies. We utilised email data which helped us to identify similar audiences who we were able to target our ads to. 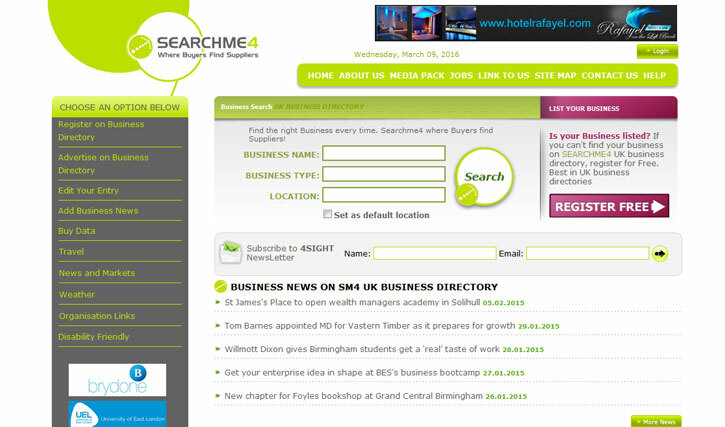 Driving potential customers who are actively searching for such activities via Google and Bing. 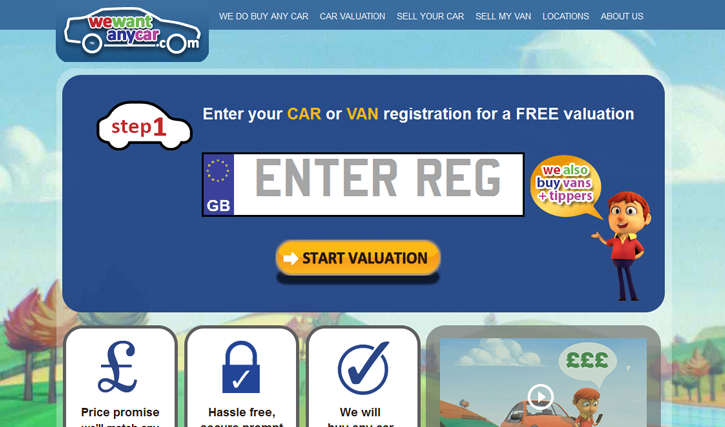 Once again, this also consisted of a re marketing campaign as well as developing specific high-converting landing pages. 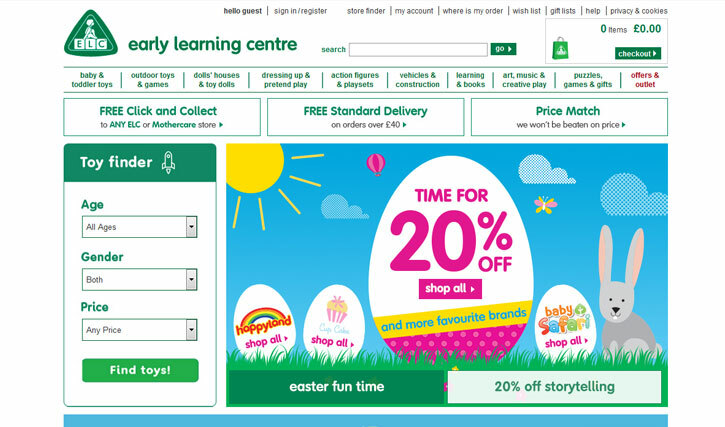 The Early Learning Centre project was done in conjunction with the Mothercare website. A full PPC audit which highlighted a number of areas where by costs of their paid search campaign can be reduced as well as driving higher quality sales. This had to be done with specific KPI's which had to be strictly adhered to. We can drive all the traffic we want to a website, but if it does not convert to sales, its meaningless. Out usability audit helped identified areas that would help maximise on conversion rates and provide a better user-experience. Ok, enough talk. Hopefully by now you have a pretty clear idea who we are and what we offer. Reduce your Cost Per Acquisition? Review an under-performing campaign and suggest improvements? Build you a high ranking, high conversion website? Train you to manage your own SEO? Train you to run your own PPC campaigns? © 2016 Keyword Marketing t/a Hello Digital. All rights reserved.